Ok gang, time for some #realtalk (sorry, I always wanted to use that expression!) Anyhoo, what I'm saying is, you're your own worst enemy. You know when you wake up, stub your toe as you get out of bed and then decide that you're going to 'have one of those days'? Do you realise how ridiculous that is? How illogical? It's negative mindset and it's standing between you and success. 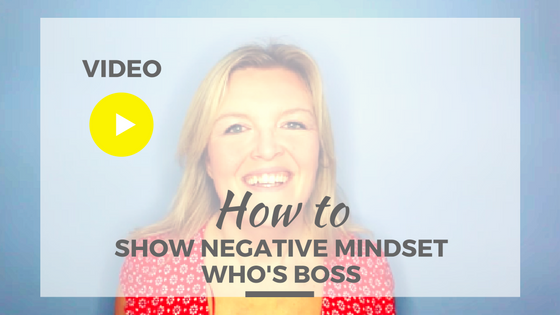 This week's video is all about how destructive that negative mindset can be. You can literally talk yourself out of success that way and I don't want that for you! That's why I'm sharing a few tools that you can use stay positive and stay on track. Have you joined Business Class yet? You don't have to do this alone! We have a fantastic community going on in my Facebook group, Business Class. Come and join us and you'll be able to catch the weekly Facebook Live Q&A's that I do there. Subscribe now and all my latest videos, blog posts and more will be sent straight to your inbox. I'll even send you a FREE Guide to Writing the Perfect Marketing Plan as a thank you.